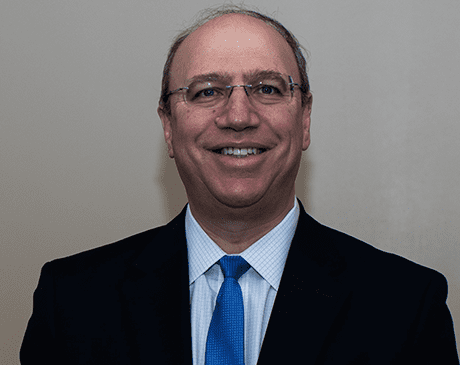 Gil Moshe Vardi, MD, FACC, FSCAI specializes in invasive, interventional, noninvasive, and consultative cardiology. At St. Louis Heart and Vascular with six offices in St. Louis, St. Charles, and Bridgeton, Missouri, and Granite City, Illinois, Dr. Vardi helps patients suffering from a wide range of heart-related disorders and complications at all stages, from consultation to treatment. A native of Israel, Dr. Vardi graduated from the Sackler School of Medicine and completed his internship at the Wolfson Medical Center, both in Tel Aviv. He moved to Brooklyn, New York, to serve his residency at the Maimonides Medical Center. Dr. Vardi obtained his fellowship in cardiology and vascular medicine at the Northwestern University Medical School in Chicago, where he went on to complete an additional fellowship in interventional cardiology. Active in clinical research, Dr. Vardi has been the principal investigator in a number of national and multinational clinical trials. His patients are welcome to participate in upcoming trials. Dr. Vardi is a member of the American College of Cardiology, the Society of Cardiac Angiography and Intervention, and the Heart Rhythm Society. He is also an Assistant Professor of Clinical Medicine at the Washington University School of Medicine in St. Louis. Dr. Vardi has a passion for developing new medical devices and has received more than 30 patents issued by the United States Patent Office. He is board-certified in internal medicine, vascular medicine, cardiovascular disease, and interventional cardiology. An inventive and dedicated cardiologist, Dr. Vardi values the time of every patient, as well as their unique needs.